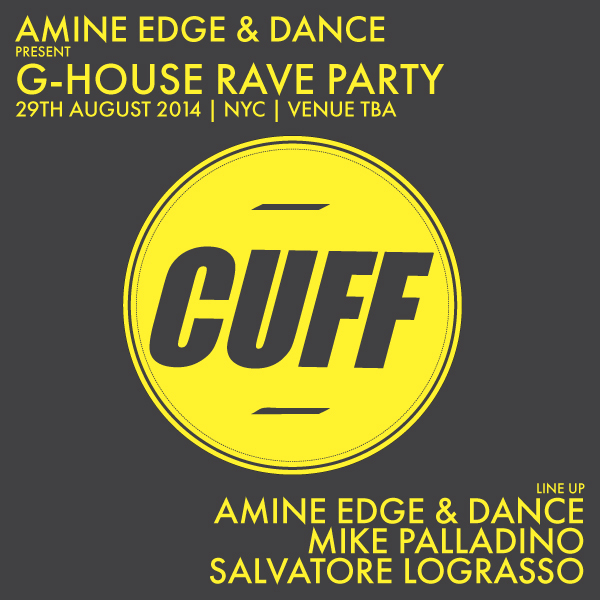 AMS BOOKING | CUFF PRESENTS « THE G-HOUSE RAVE PARTY » ON 29TH AUGUST SOMEWHERE IN BK. Hello Brooklyn ! CUFF presents « The G-House Rave Party » on 29th August somewhere in BK.